The Nepean river has a number of great sections to go kayaking on. Douglas Park to Menangle River Reserve is yet another great section of the river to do. It’s 14km’s in length. A good place to launch your kayak is off Douglas Park Driver next to the bridge. See the map for details. When you come up to Menangle River Reserve you’ll see the Menangle railway bridge. There is a weir just after the bridge so keep an eye out for it as you don’t wont to go over it. About a kilometer into the paddle you’ll come across Cataract River. It’s a worthwhile side track kayaking down this section to have a look. This part of the river is very scenic. 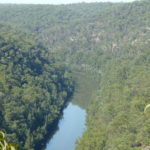 Trailmaze’s recommendation for the Nepean River is still kayaking through the Nepean gorge. However this section of the river is still very worthwhile doing. Directions to Douglas Park Kayaking. Google Map Link. A good place to launch your kayak is off Douglas Park Driver next to the bridge. 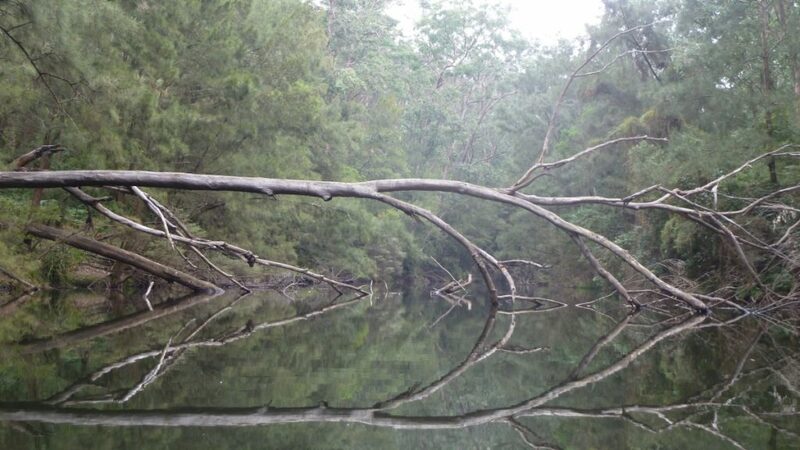 The table below contains more sections of the Nepean river to explore on a kayak. Douglas Park to Menangle Kayaking Map. 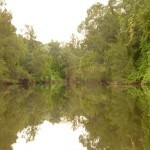 Douglas Park to Menangle River Reserve Kayaking Photo Gallery. Photo Gallery of kayaking from Douglas Park to Menangle River Reserve.